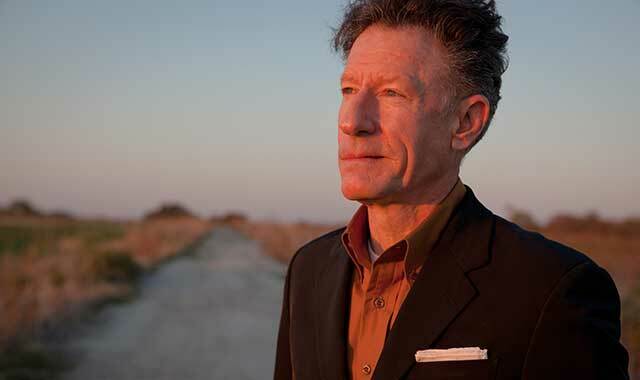 Lyle Lovett and His Large Band blend their elements of Americana and other styles at Music by the Lake, in Lake Geneva, on Aug. 5. Through July 23, see website for times. The classic Damon Runyon fable about the oldest established permanent floating craps game in New York. Presented by Williams Street Repertory. Raue Center for the Arts, 26 N. Williams St., Crystal Lake, (815) 356-9212, rauecenter.org. July 14-16 & 21-23, 8 p.m. This Tony-Award winning musical, presented by Elgin Summer Theatre, follows eccentric adolescents in their quest for first prize in the spelling championship of a lifetime. Hemmens Cultural Center, 45 Symphony Way, Elgin, (847) 931-5900, hemmens.org. July 15, 6 p.m. Enjoy a picnic and an evening of al fresco theater as the Midsummer Theater Troupe brings laughter and culture. Island Park, 2 E. State St., Geneva, (630) 232-4542, genevachamber.com. July 16, noon-6 p.m. This family-friendly event features folk singers, folk dancers, storytellers, workshops and a children’s area. Historic Woodstock Square, Woodstock, (815) 479-9933, woodstockfolkmusic.com. July 16, 4 p.m. The Preservation Hall Jazz Band has been delighting audiences with traditional New Orleans jazz since 1961. Presented by Music by the Lake. Ferro Pavilion, George Williams College of Aurora University, 350 Constance Blvd., Williams Bay, Wis., (262) 245-8501, musicbythelake.com. July 18, 7 p.m. This Chicago dance band entertains with high-energy, upbeat pop/rock tunes. Crystal Lake Main Beach, 300 Lakeshore Drive, Crystal Lake, (815) 459-0680, crystallakeparks.org. July 20, 7 p.m. Powerful singers and a rocking horn section bring back musical memories from the ‘60s, ‘70s and ‘80s. Lincoln Park Gazebo, between 4th and 5th streets, St. Charles, (630) 513-6200, stcparks.org. July 20, 7-9 p.m. Groove to music rooted in swinging jazz and blues, contemporary classics and timeless standards. Good Tymes Shelter, Sports Complex, 435 S. Airport Road, Sycamore, (815) 895-3365, sycamoreparkdistrict.com. July 20, Aug. 17, Sept. 21, 8 p.m. Jumpstart your weekend with hilarious sketch comedy and improv. Raue Center, Crystal Lake, (815) 356-9212, rauecenter.org. July 20-Aug. 20, Thurs. 7:30 p.m., Fri. 7:30 p.m., Sat. 3 p.m. & 7:30 p.m., Sun. 3 p.m. The Tony Award-winning origin story of Peter Pan, an orphan boy who seeks a family of his own while taking an imaginative journey into Neverland. Metropolis, Arlington Heights, (847) 577-2121, metropolisarts.com. July 21, 8 p.m. Kesha has taken the world by storm since the release of her debut album, “Animal,” in 2010, when she was declared Billboard’s Hot 100 Artist and the single “TiK ToK” was named Billboard’s No. 1 Hot 100 song. RiverEdge Park, 360 N. Broadway St., Aurora, (630) 896-6666, riveredgeaurora.com. July 22-23, 10 a.m.-5 p.m. More than 140 artists show work in a variety of media, including glass, textiles, painting and sculpture. Geneva Chamber of Commerce, 100 S. 3rd St., Geneva, (630) 232-6060, genevachamber.com. July 22, 7:30 p.m. The DuPage Symphony Orchestra celebrates memorable melodies about America. Wentz Concert Hall, North Central College, 171 E. Chicago Ave., Naperville, (630) 778-1003, dupagesymphony.org. July 22, 7 p.m. This Steely Dan tribute band is comprised of world-class musicians from the Chicago area. Robert O. Atcher Municipal Center Grounds, 101 Schaumburg Court, Shaumburg. Tickets: Prairie Center for the Arts (847) 895-3600, prairiecenter.org. July 22, 7:30 p.m. The Tenors entertain with their blend of classical music and contemporary pop. Presented by Music by the Lake. Ferro Pavilion, George Williams College, Williams Bay, Wis., (262) 245-8501, musicbythelake.com. July 27, Sept. 14, 8 p.m. Felix and Fingers is a high-energy, all-request sing-along show that’s appropriate for all ages. This duo plays anything from Lennon to Legend, Beach Boys to Beastie Boys. Raue Center, Crystal Lake, (815) 356-9212, rauecenter.org. July 27, 7:30 p.m. Hotel California pays tribute to the classic sound of the Eagles. Arcada Theatre, 105 E. Main St., St. Charles, (630) 587-8400, arcadalive.com. July 28, 8 p.m. Blasting out its fusion of country, rock, bluegrass and pop for over four decades, Alabama is a legend. RiverEdge Park, Aurora, (630) 896-6666, riveredgeaurora.com. July 28, Aug. 25, 6 p.m. This monthly art exhibit is an open-themed, juried fine art show that covers all mediums. The Starline Factory, 306 W. Front St., Harvard, (815) 943-4805, starlinefactory.com. July 28, Aug. 15, 8:30 p.m. This hilarious series has featured regional and national comedians including Dwayne Kennedy, Patti Vasquez, Mike Preston and many more. Raue Center, Crystal Lake, (815) 356-9212, rauecenter.org. July 29-30, Sat. 9 a.m.-5 p.m., Sun. 10 a.m.-4 p.m. This juried show attracts fine artists and crafters from the Midwest and beyond. Edgewater Park, 15 E. Geneva St., Williams Bay, Wis., (262) 275-5567, williamsbay.org. July 30, 4 p.m. This family-friendly show takes audiences on an adventure, expressed through song and dance, to learn important life lessons. Presented by Music by the Lake. Ferro Pavilion, George Williams College, Williams Bay, Wis., musicbythelake.com. July 30-31, 7:30 p.m. Nugent has carved a permanent place in rock and roll history as a guitar-shredding showman, performing more than 6,400 high-octane concerts around the globe. Arcada Theatre, St. Charles, (630) 587-8400, arcadalive.com. Aug. 1, 7 p.m. Women of Pop cover band. Crystal Lake Main Beach, (815) 459-0680, crystallakeparks.org. Aug. 5-6, 10 a.m.-5 p.m. The Fox Valley’s largest gathering of artists and artisans, with more than 70 booths offering sculpture, photography, ceramics, jewelry, canvas and fiber art as well as children’s activities and musical entertainment. Various locations, downtown Elgin, (847) 695-7540, elginartandsoul.com. Aug. 4, 8 p.m. Enjoy an evening as four guys who look, sound and act like the Fab 4 play hits from the first night on the Ed Sullivan Show to Abbey Road. RiverEdge Park, Aurora, (630) 896-6666, riveredgeaurora.com. Aug. 4, 8 p.m. The New World Men have created a faithful reproduction of RUSH’s classic albums. Arcada Theatre, St. Charles, (630) 587-8400, arcadalive.com. Aug. 5, 7:30 p.m. This Texas-based musician performs with His Large Band, fusing elements of Americana, swing, jazz, folk, gospel and blues. Presented by Music by the Lake. Ferro Pavilion, George Williams College, Williams Bay, musicbythelake.com. Aug. 6 & 13, 3 p.m. Memorable chamber orchestra performances, featuring Mozart: The Young Genius, followed by Mozart Moves to Vienna. Midwest Mozart Festival, Woodstock Opera House, 121 Van Buren St., Woodstock, (815) 338-5300, woodstockoperahouse.com. Aug. 8, 7 p.m. Chicago’s Rhythm Rockets offer an evening of old school Jazz and Rhythm & Blues, featuring the songs of Nina Simone, Peggy Lee, Etta James and many more. Crystal Lake Main Beach, (815) 459-0680, crystallakeparks.org. Aug. 10, 7 p.m. This band has something for everyone: Rock ‘n’ Roll, Motown, Hip-Hop, Country and Pop Rock. Lincoln Park Gazebo, St. Charles, (630) 513-6200, stcparks.org. Aug. 11, Sept. 14, 7 p.m. This monthly reading series invites a group of readers from a pool of Williams Street Repertory actors and supporters to read from work by distinguished authors each month. Café at Raue Center, Crystal Lake, (815) 356-9212, rauecenter.org. Aug. 11, 8 p.m. Jason Derulo has gone from penning songs for others to performing his signature mix of pop, R&B and hip hop. RiverEdge Park, Aurora, (630) 896-6666, riveredgeaurora.com. Aug. 12, 7 p.m. Devoted to the art of harmony and choreography, this award-winning group of four performers has opened for groups such as the Temptations, The Spinners and Chuck Berry. Robert O. Atcher Municipal Center Grounds, Schaumburg. Tickets: Prairie Center for the Arts, (847) 895-3600, prairiecenter.org. Aug. 12, 7:30 p.m. Fans of Gershwin and Irving Berlin will enjoy the Chicago Philharmonic and Broadway voices performing favorites including “Rhapsody in Blue,” “American in Paris” and many more. Presented by Music by the Lake. Ferro Pavilion, George Williams College, musicbythelake.com. Aug. 13, 5 p.m. Two of the biggest pop bands of the ‘60s come together to play “This Diamond Ring,” “Midnight Confessions” and other well-known hits. Arcada Theatre, St. Charles, (630) 587-8400, arcadalive.com. Aug. 15, 8:30 p.m. This series has featured regional and national comedians including Dwayne Kennedy, Patti Vasquez, Mike Preston and many more. Raue Center, Crystal Lake, (815) 356-9212, rauecenter.org. Aug. 17, Sept. 21, 8 p.m. Jumpstart your weekend with sketch comedy and improv. Raue Center, Crystal Lake, (815) 356-9212, rauecenter.org. Aug. 17, 7 p.m. Move and groove all night to blues with a funky groove. Lincoln Park Gazebo, St. Charles, (630) 513-6200, stcparks.org. Aug. 17, 8 p.m. The Marshall Tucker Band, The Outlaws, Travis Truitt, Eddie Montgomery and Troy Gentry are riding into town for an evening of Southern rock. RiverEdge Park, Aurora, (630) 896-6666, riveredgeaurora.com. Aug. 18, 8 p.m. An all-hits ‘70s show with pop stars Bishop, Vincent and Lurie. Arcada Theatre, St. Charles, (630) 587-8400, arcadalive.com. Aug. 19, 7 p.m. Heartache Tonight captures the sound and style of The Eagles. Robert O. Atcher Municipal Center Grounds, Schaumburg. Tickets: Prairie Center for the Arts, (847) 895-3600, prairiecenter.org. Aug. 24-Sept. 2, Thu.-Sat. 7:30 p.m. From the company that launched Tina Fey and Stephen Colbert, The Second City performs songs, improvisations and sketch comedy with a Girls Night Out theme. Metropolis, Arlington Heights, (847) 577-2121, metropolisarts.com. Aug. 25, 8 p.m. These six rockers perform Led Zeppelin songs as they were heard on studio albums. RiverEdge Park, Aurora, (630) 896-6666, riveredgeaurora.com. Aug. 25, 8 p.m. Relive the oldies but goodies of the ‘60s and ‘70s with The Turtles’ Flo and Eddie, The Association, Chuck Negron of Three Dog Night, The Box Tops, Ron Dante of The Archies and The Cowsills. Fundraiser for “Dreams Do Come True Program” from 5-7 p.m. Paramount Theatre, 23 E. Galena Blvd., Aurora, (630) 896-6666, paramountaurora.com. Aug. 26, 3-7 p.m. Pack a picnic and relax under old oak trees to the music of Pat McKillen and The Brill Building Songwriters in the ely environment of Rolling Oaks Farm. Location: Rolling Oaks Farm, 160 W. Dundee Road, Barrington Hills. Tickets/Info: (847) 387-3149, bactrust.org. Aug. 26, 7 p.m. Celebrate more than 25 years of Summer Breeze appearances with an evening of Broadway favorites and light classics, complete with vocalists and a 35-piece ensemble. Robert O. Atcher Municipal Center Grounds, Schaumburg. Tickets: Prairie Center for the Arts, (847) 895-3600, prairiecenter.org. Aug. 27, 3 p.m. Performing in its signature “Poperatic” style, the trio takes listeners on a journey covering more than 70 years of favorite show tunes from classic Broadway musicals including “Fiddler on the Roof,” “My Fair Lady,” “Man of La Mancha” and “South Pacific.” Metropolis, Arlington Heights, (847) 577-2121, metropolisarts.com. Sept. 2, 8 p.m. Three of the best impersonators relive the life and music of Elvis. Arcada Theatre, 105 E. Main St., St. Charles, (630) 962-7000, arcadalive.com. Sept. 3, 7 p.m. Vincent Pastore, of “The Sopranos,” with Johnny Sialiano and Maija DiGiorgio entertain with ethnic Italian humor. Arcada Theatre, St. Charles, (630) 962-7000, arcadalive.com. Sept. 7-8, Th. 7:30 p.m., Fri. 8 p.m. The prolific and versatile songwriter performs classics and new material. Arcada Theatre, St. Charles, (630) 962-7000, arcadalive.com. Sept. 13-Oct. 29, see website for times. The hit musical chronicling the legendary recording session that brought together Elvis Presley, Johnny Cash, Jerry Lee Lewis and Carl Perkins. Paramount Theatre, Aurora, (630) 896-6666, paramountaurora.com. Sept. 15, 7:30 p.m. Professional singers and dancers perform hits from Broadway shows such as “Cats,” “West Side Story,” “Phantom of the Opera,” “A Chorus Line” and more. Batavia Fine Arts Centre, 1399 W. Wilson St., Batavia, (630) 937-8930, bataviafineartscentre.org. Sept. 21, 8 p.m. Jumpstart your weekend with sketch comedy and improv. Raue Center, Crystal Lake, (815) 356-9212, rauecenter.org. Sept. 24, 8 p.m. One of the most prolific American storytellers of all time, Garrison Keillor is a writer and humorist best known as the former host of the popular live radio variety show “A Prairie Home Companion.” Raue Center, Crystal Lake, (815) 356-9212, rauecenter.org. This entry was posted on Tuesday, July 18th, 2017 at 11:59 am	and is filed under Arts & Entertainment. You can follow any responses to this entry through the RSS 2.0 feed. Both comments and pings are currently closed.